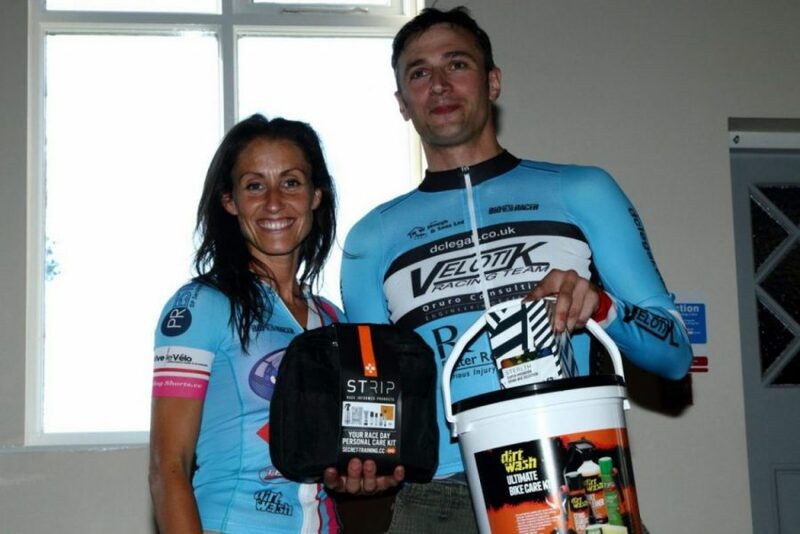 Rio’s loss is Team Jadan – Weldtite’s gain in their ten mile Time Trial Fund Raiser on the V718 Hull. 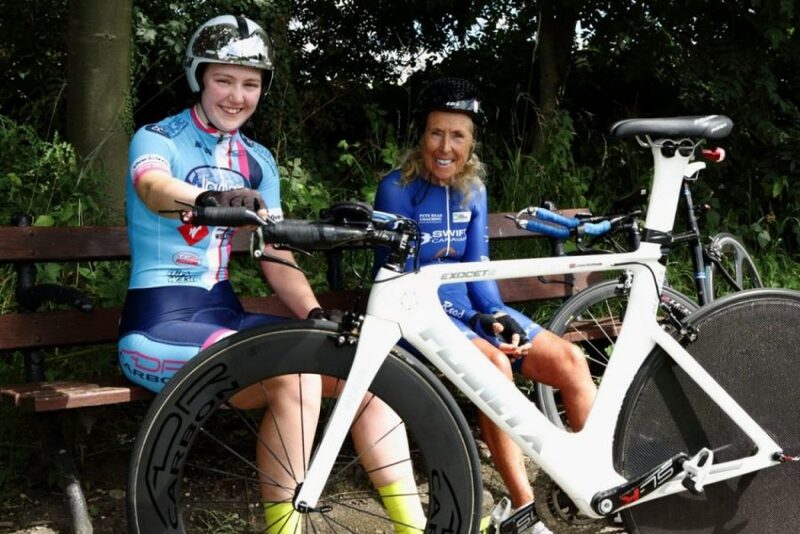 Team Manager Victoria Hood was thoroughly delighted when National Time Trial Champion Hayley Simmonds signed up to ride their Team Jadan – Weldtite Ten fund raising event last minute on Saturday 30th July. The event would have probably gone-by unnoticed if circumstances were different. 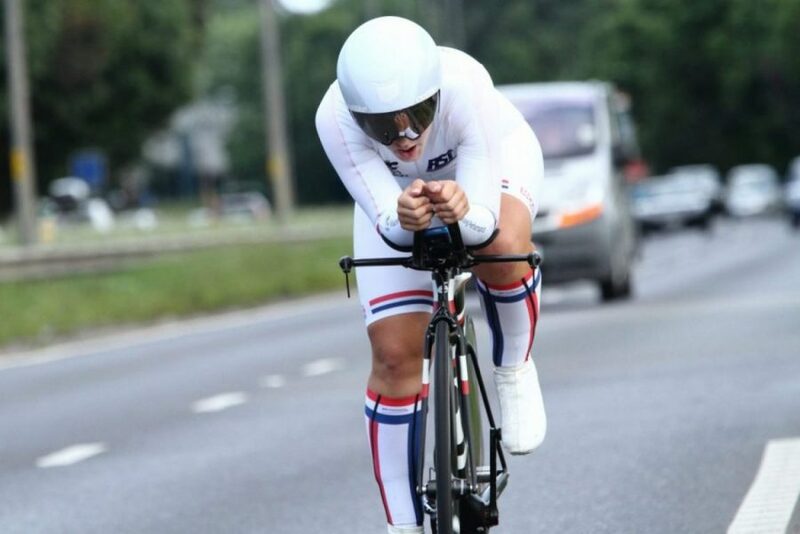 But Simmonds was in the area by chance and decided to ride the event being close-by and a couple of surprise results brought headlines to the Time-Trial World. 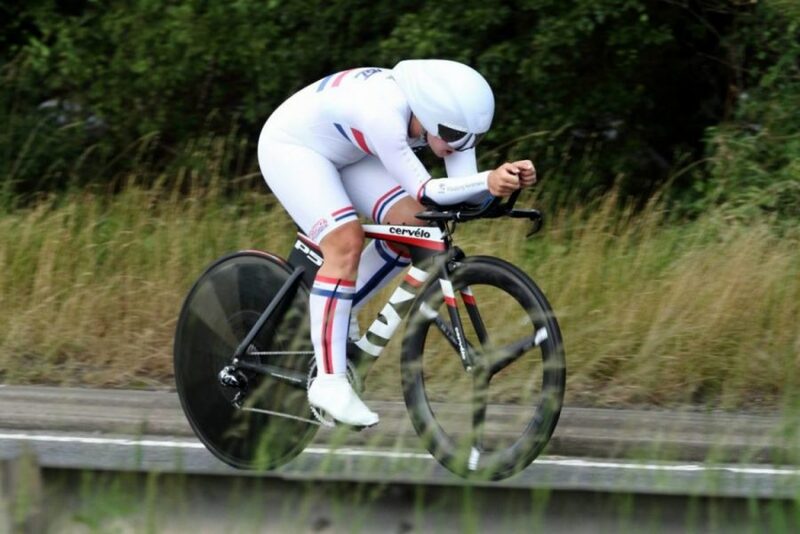 Smashing the National Fifty last weekend with a 1:42.20 from Julia Shaw’s [1:46.46] in 2010, on-form Simmonds rode a 19.31 on the V718 course, beating her own record from last year on the same course of 19.46 setting a New National Record. 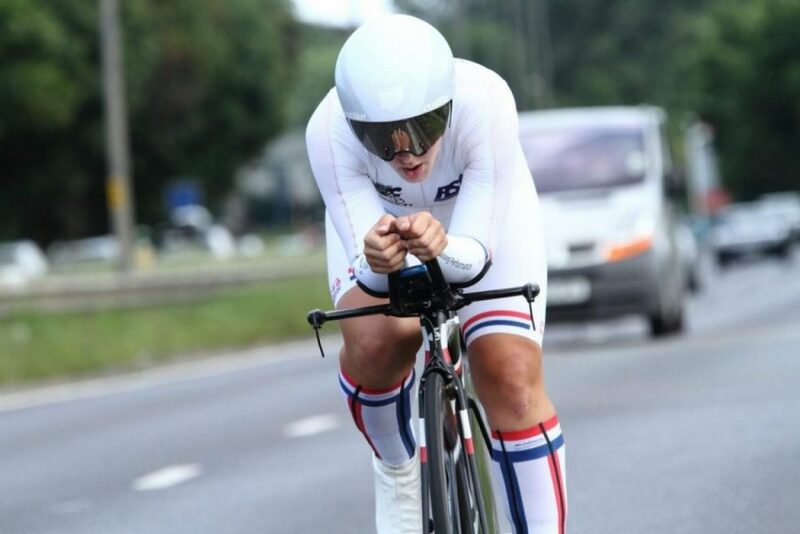 Simmonds recently retained her National Time Trial Title for a second consecutive year not far away in Stockton-On-Tees and looked a likely candidate to support Lizzie Armitstead’s Rio Olympic Road Race bid in a week or two’s time as well as representing Great Britain in the Time Trial. 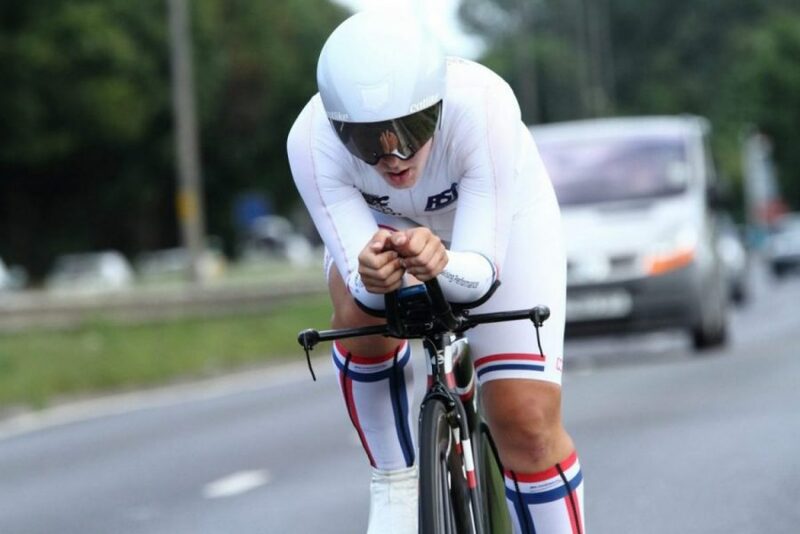 Returning from America where she was riding with the Unitedhealthcare Pro Cycling Team until recently, Simmonds was back in the Country expecting the call up. 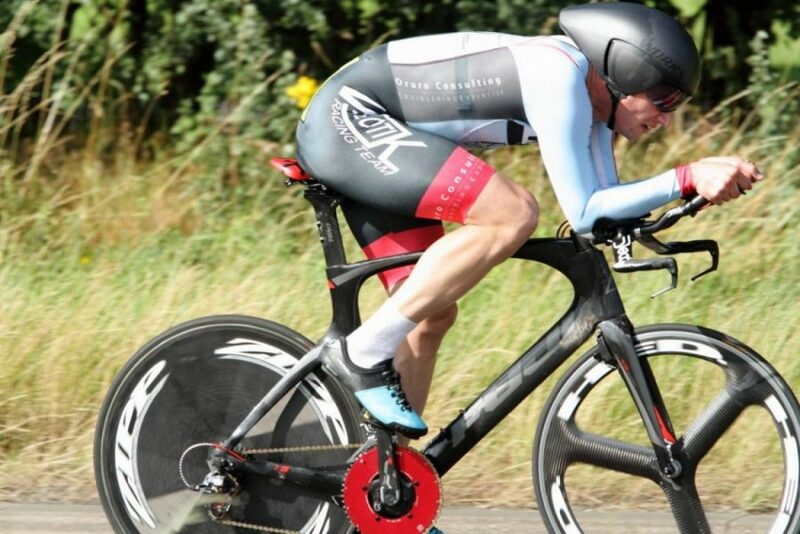 Now riding for AeroCoach; Simmonds is eyeing up the National Twenty-five and the National Ten before moving on to the European Championships then the World Championships in Qatar later this year. Images from the event are available to order, click here to view – all proceeds going to Team Jadan – Weldtite. Check back for details. 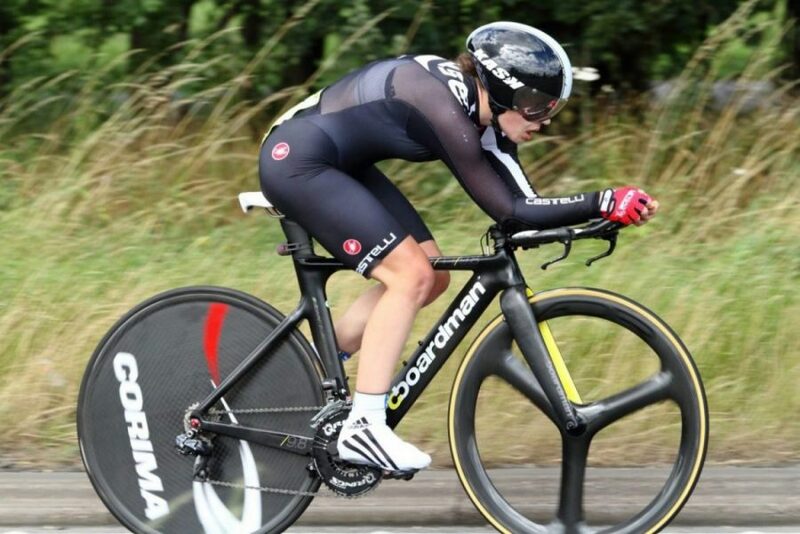 Another surprise today was Henrietta Colborne [Team Ecoboost] setting a new Junior Ten record with a 20.21. 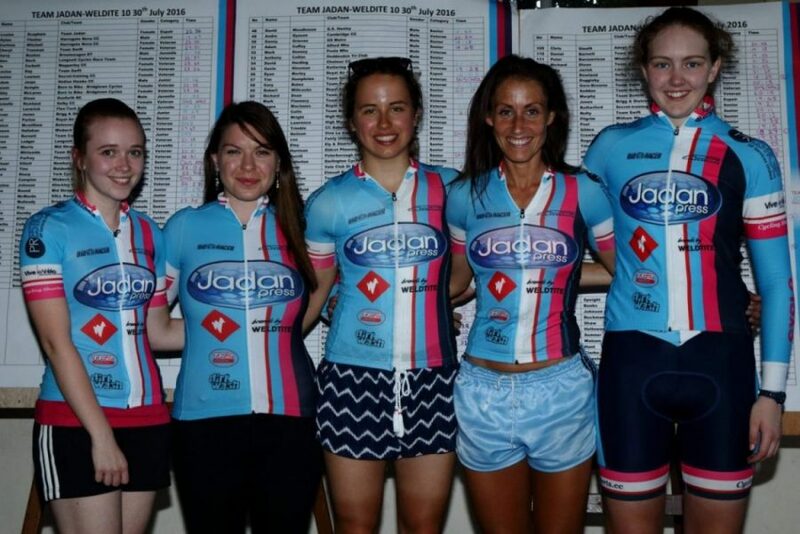 Colborne is a familiar face to the Pink and Blue Jadanite Family riding events on both the Road and Track in recent years for Team Jadan – Weldtite. Colborne’s time with Team Jadan has helped her progress forward and is setting her up for a bright future. 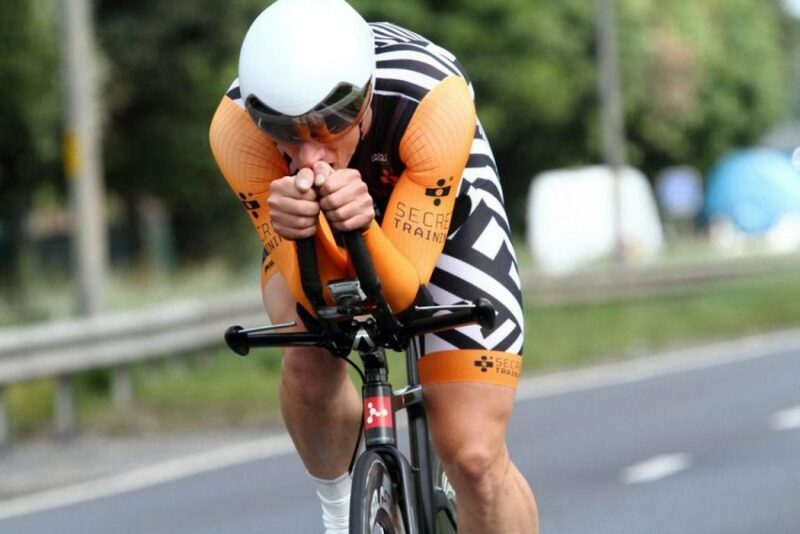 The quickest time set in the Jadan – Weldtite Ten was David Crawley [Velotik RT] with a time of 18.27. 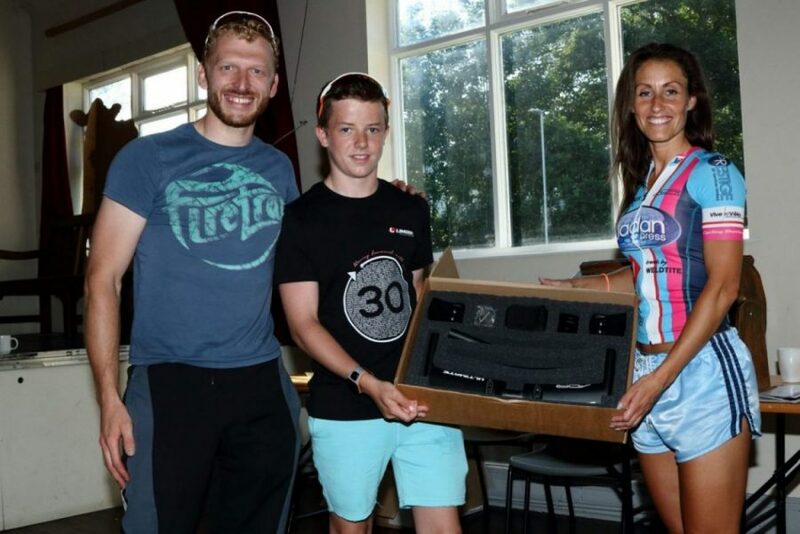 The raffle for the ADR Carbon handle bar set was won by Daniel Dixon (Juvenile) from the Gosforth RC. 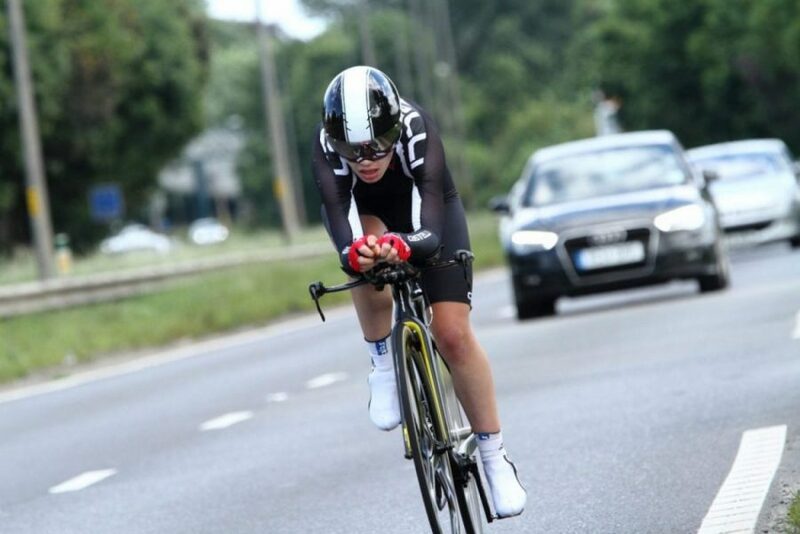 A triple record breaking week for Hayley Simmonds claiming new 10, 25 & 50 mile records. Cycling Shorts caught up with Hayley soon after her 10 ride to get her reaction. She had been telling us that she was heading to Wales later in the afternoon to compete in the Bynea CC 25 on the R23/3H. 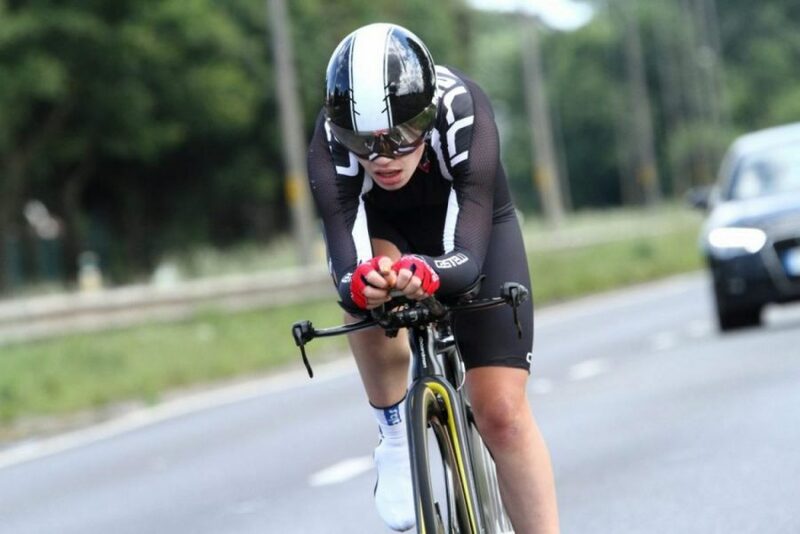 News came through on Sunday 31st that Hayley has smashed the 25 record to, in a 49.28. Her next challenge. The National 25 next Saturday 06 August. 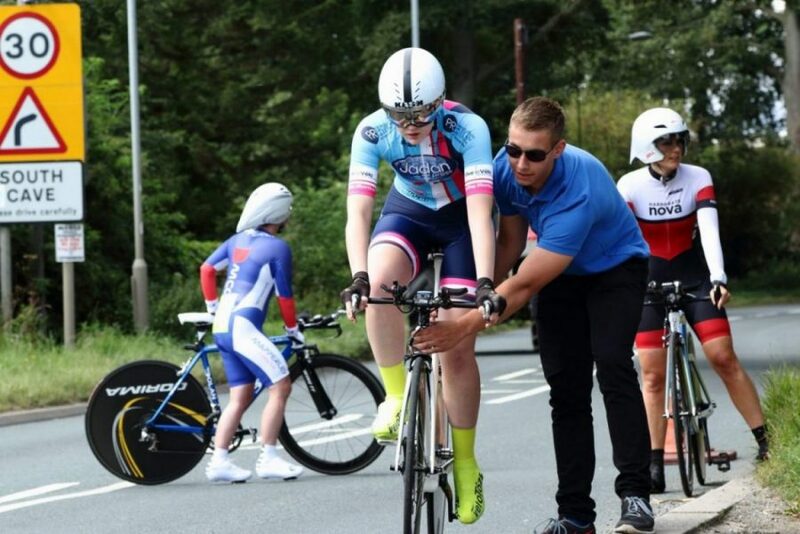 Team Jadan – Weldtite provide progression and opportunity for young girls to develop their talent in a supportive environment whilst racing all over the UK and Europe which is fundamental to their future success in the sport. 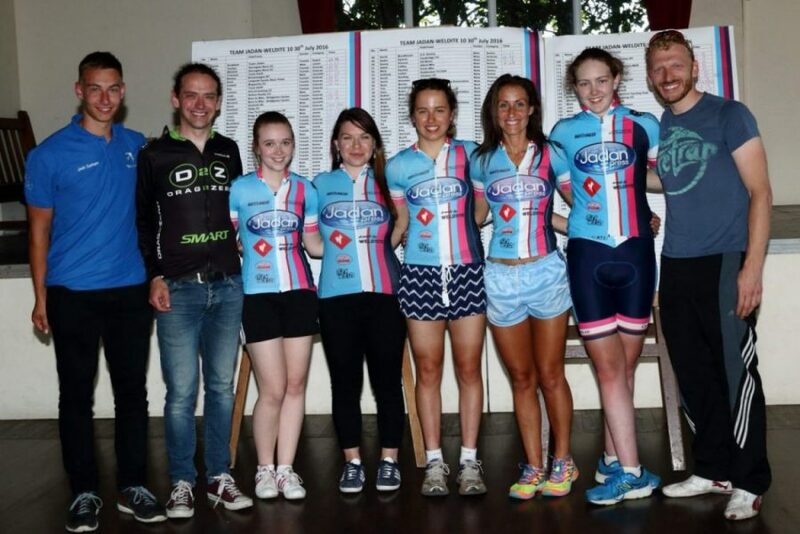 Today’s event will ensure sending the girls to Europe in the next couple of weeks and possibly the Ras na mBan in Ireland in September. Team Jadan Weldtite are back riding the Revolution again this coming season on the Track. This year the Series goes international with a newly created Champions League where the girls will be mixing-it once again with the best in the World. 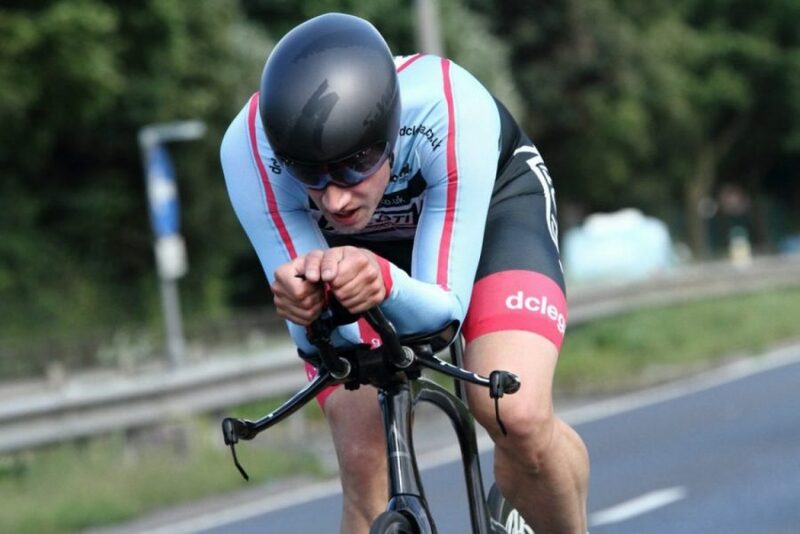 With an ever increasing number of cycle related road accidents, Lincoln-based photographer, film maker, cyclist and organiser of Lincoln Bike Night, Phil Crow who has decided to do something about it. I wanted to present a balanced argument to try and show motorists and cyclists that, with a bit of care and thought, we can all use the UKs roads carefully and safely. Everyone has been really positive about what I’m trying to achieve and when I got Jason Bradbury to agree to present it I was beyond pleased! I just want as many people as possible to take a few minutes, watch the film and share it with their friends… Facebook, Twitter, email etc and if this saves just one life, then I’ve done my job. I regularly cycle (and drive) on Lincolnshire’s roads. It’s a wonderful county and always great to see more and more people out on two wheels. However, I am always amazed by some of the incidents and near misses I regularly see. My hope is that this film can go some way to raising awareness of how motorists and cyclists can share the road and hopefully reduce some of those incidents. So please follow, message and RT the film so you spread the word. There will be car stickers also available so keep an eye on social media so you know where to pick one up! Numbers don’t win the race! Confidence also comes from setting SMARTER goals that include process goals. It is wonderful to have a goal of winning a specific race or completing a certain TT in a set time (an outcome goal), but often other factors outside your control influence these goals i.e. who else turns up for the race, how hard they have trained and the weather. You therefore need to set other goals or milestones that contribute to your overall goals for the season, or year. Ones that you are in control of, that will contribute to your long term goals and that you can be proud of achieving i.e. to have increased average cadence by X amount by X date, to have developed an effective warm up protocol by Spring or to have increased threshold power by X watts by X date, to have learnt to corner effectively in a bunch by Summer or to increase speed over a known course by X%. Achieving these milestones will bring confidence as you see your progress. Pre race I recommend all my riders follow a set routine that works for them, I even ask them to write it down and plan it out along with a list of kit they need. This ensures there are no last minute panics. 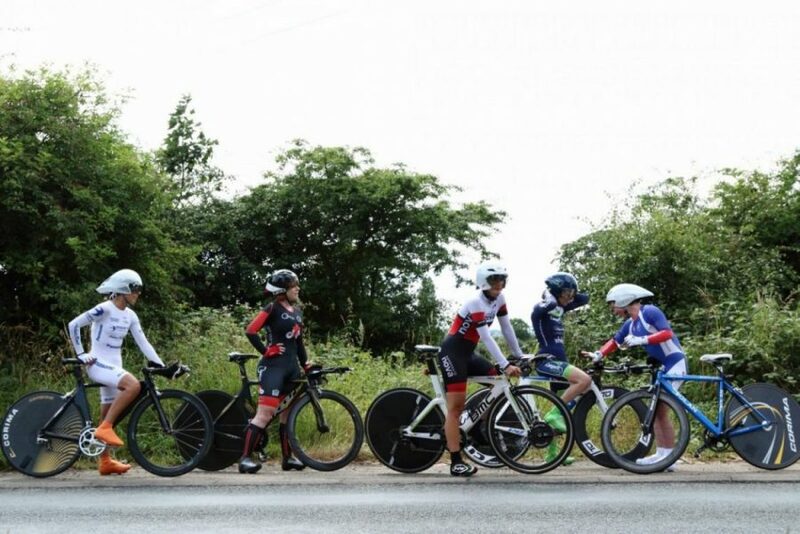 Using a set pre race routine and set warm up enables a rider to control their anxiety. Always following the same process allows an athlete to get into the racing mindset. 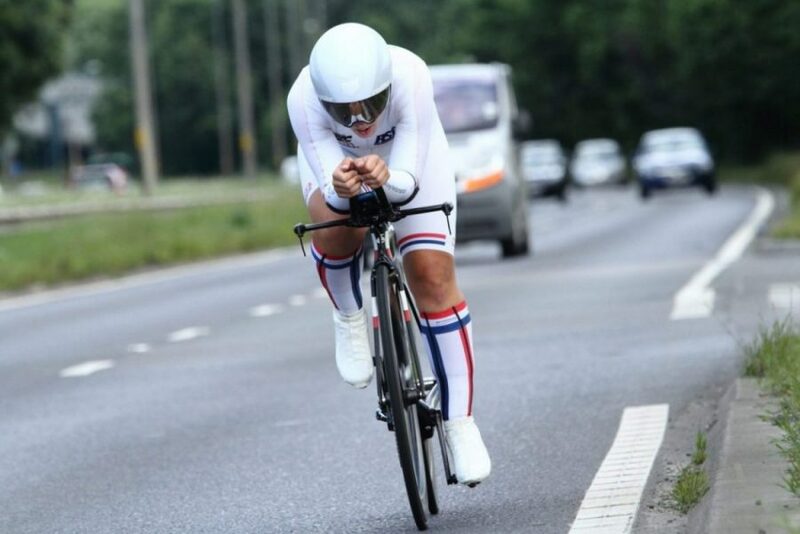 The British Cycling 20 minute warm is perfect for most events. During a race the mental skill most required is concentration and the ability to remain focussed at all times, a lapse in concentration could result in disaster. Post race it is vital to identify not just the areas for improvement, but all the things that went well. Try identifying 10 things that you did well each race i.e. did you complete a successful warm up, did you start in a good position, did you maintain a good position in the bunch, where you aware of the attacks, did you find a safe wheel to follow, did you hydrate well etc etc. Look for the positives; this is where confidence comes from! 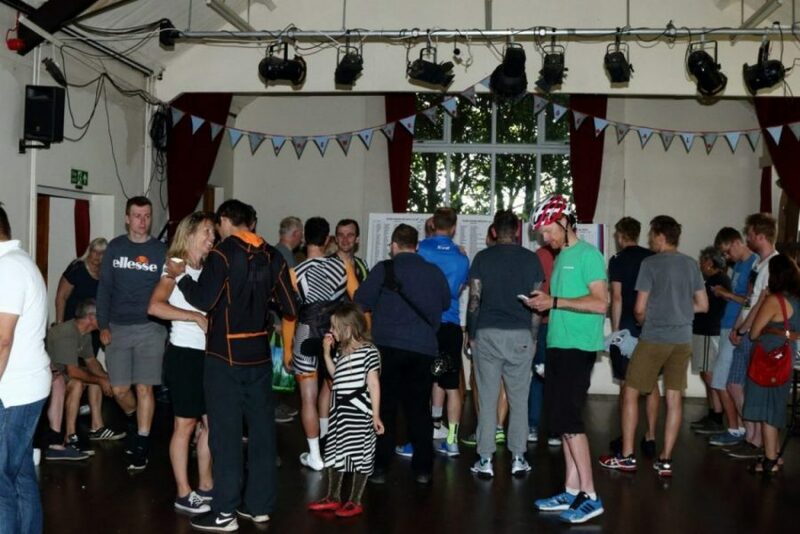 Last year the Surrey League took the decision to make it compulsory for riders to attend two accredited race training sessions if they were planning to race in the league as a novice/Cat 4 racer. 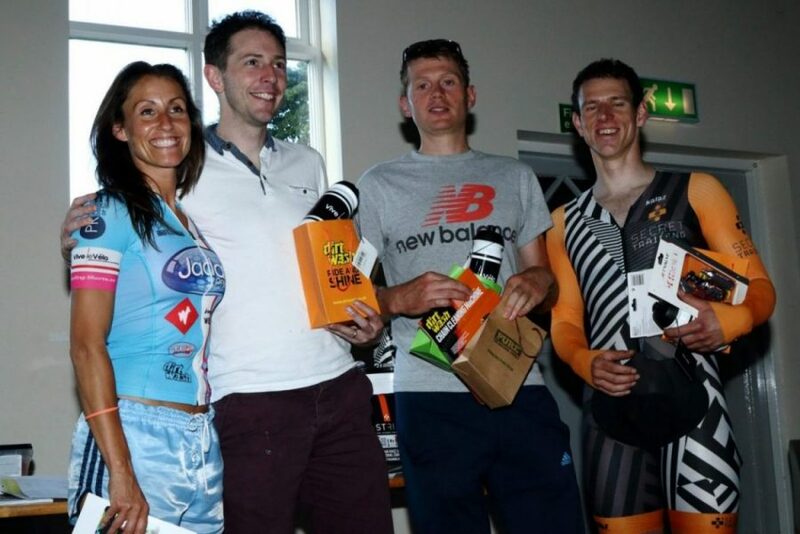 This year the South East Road Race League has done the same and it seems likely that other race organisers will follow suit. These sessions cover a variety of technical skills for racing before progressing to some tactical skills including mock racing which is followed by a classroom session to discuss racing and training. The Sprint for the Line! So in 2016 will you develop your mental skills, your technical skills and your tactical skills alongside your physical training? You can bet the winners will be……. #BeAGameChanger Awards – Nominate Now! 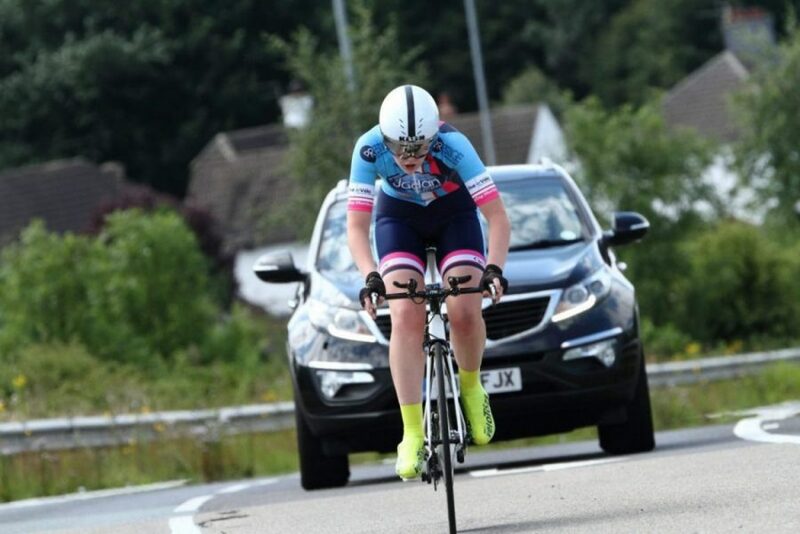 CyclingShorts.cc has championed women’s cycling at grass roots level and those involved in the sport who offer cyclists the opportunity to race and move to the next level for many years, whether that be gaining the confidence to ride a sportive or race as a professional. This year we are proud to be sponsors and the media partner for Team22 WRT and we continue to sponsor the unique work by the Racing Chance Foundation. Browsing the internet the other night I was pleased to see nominations are now open for the Women’s Sport Trust Awards also known as #BeAGameChanger Awards. The awards have been set up to recognise those individuals and organisations doing the most to progress women’s sport. The Women’s Sport Trust #BeAGameChanger awards 2016 are supported by Microsoft and they showcase the irresistible nature of women’s sport and inspire others to take action (full details of the awards and categories at the bottom of this article). 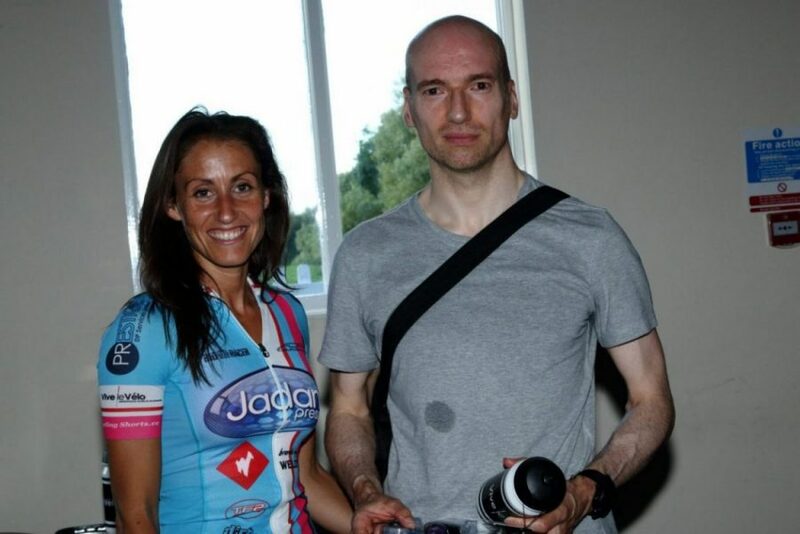 With this in mind I’m going to take this opportunity to champion our very own Heather Bamforth who is often overlooked and regularly copied by those with higher profiles in the sport. Heather reporting from the Cheshire Classic. Heather has been a longstanding member of the CyclingShorts.cc writing team; covering international races like the Tour de France but also taking the majority of her time to write about and report on grass roots cycling and development – take a look at her extremely popular Women’s Guide to Racing which has been used by many a newcomer to the sport. 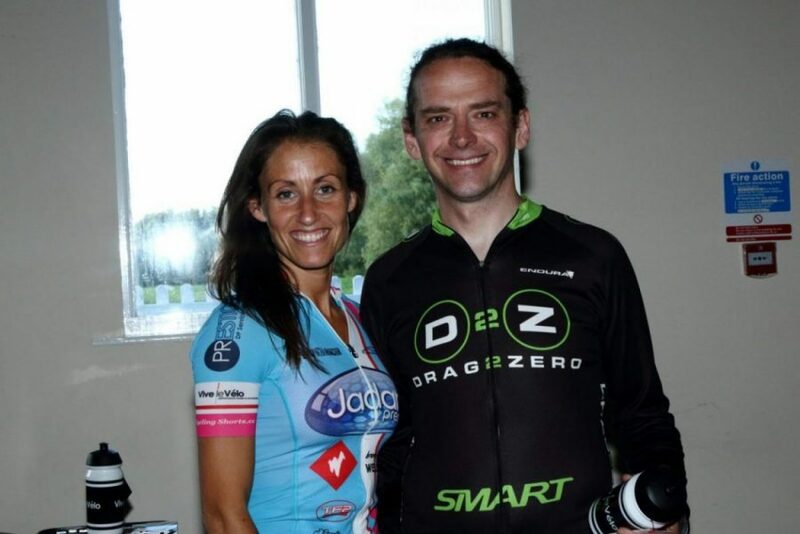 For those that don’t know already… since returning to the sport of cycling in 2011, Heather has been working behind the scenes to increase the number of opportunities for women in competitive cycling. 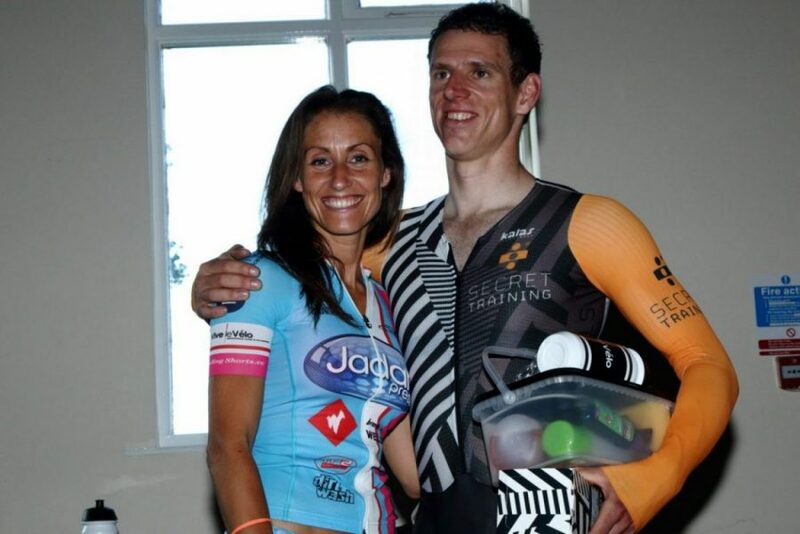 In 2013, the inaugural North West Women’s Series was promoted by Heather, which featured groundbreaking road racing for women. 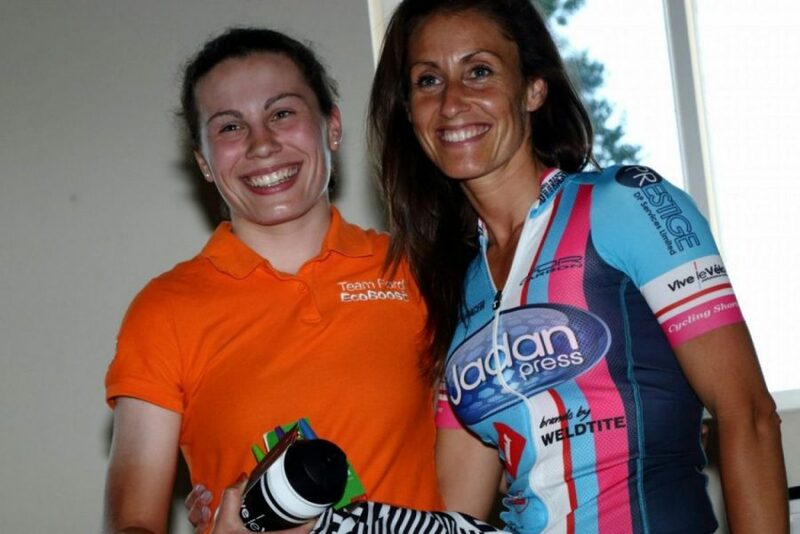 In 2014, along with three others, she established The Racing Chance Foundation, a registered charity which helps to provide women with a pathway in competitive cycling from novice to elite level. 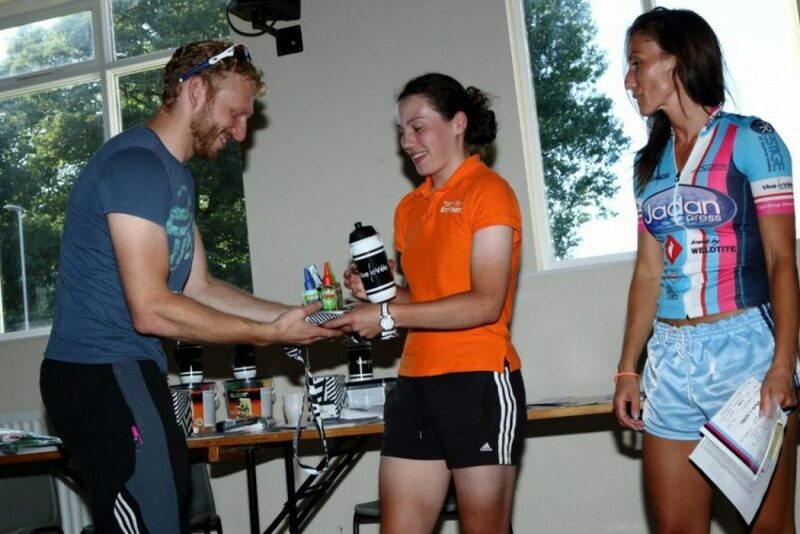 In 2014 & 2015, Racing Chance coached over 200 women, and following Heather’s lead, other women around the country set up similar series to that in the North West. 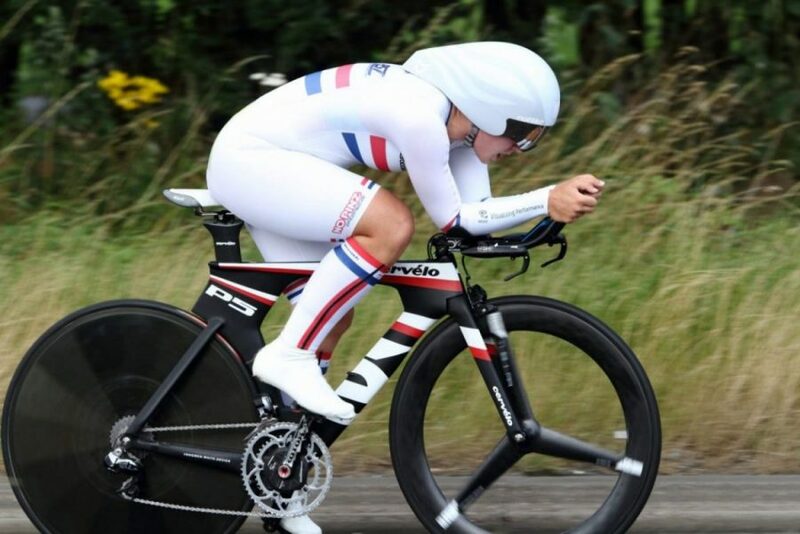 As a result of Heather’s original initiative and the subsequent additional series, British Cycling have seen an increase in female membership with a racing licence increasing from 800 in 2012 to over 1500. Heather’s vision has enabled the sport of road racing in cycling to become more than just a dream for women. Without her there would be far fewer women racing, especially at the important grass roots level. So, as many of you already know who have benefitted from Heather’s input/support she is going to cringe at this praise, but I think we all owe it to her to give her the props she’s due. 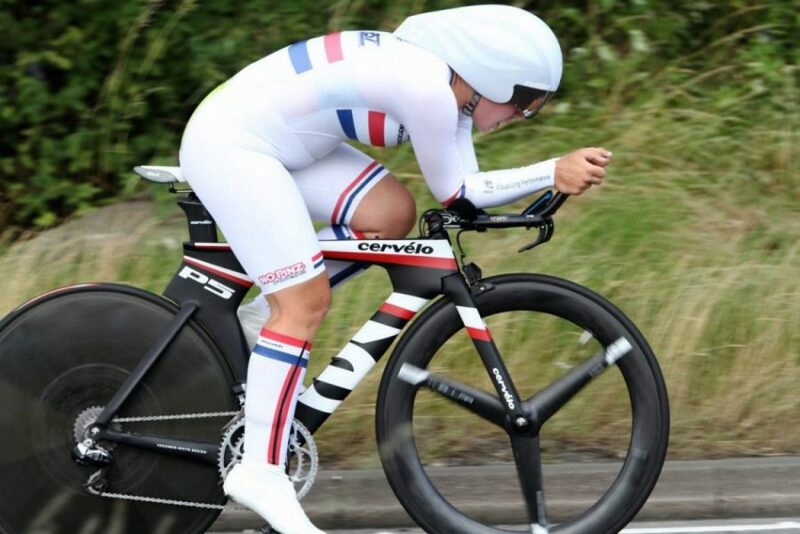 Heather earns nothing from cycling, she has a totally unrelated full on full time career, but I can assure you every spare minute of the day and night she’s thinking of the next thing she can do to raise women’s cycling higher. I can attest to this with the many hours the two of us spend chatting through her plans… and trust me she has big plans in the pipeline! Ladies, Heather has your back so lets return the favour give her the pat on the back she deserves and get her crowned as an Ambassador of Women’s Sport. Let’s try and do this!!! Nominations for the awards are now open across nine categories. Follow this link to nominate the athlete, team, organisation or individual who has made a positive contribution to women’s sport. Closing date 21st February 2016 – so get your skates on!